In Lamps > Mid-Century Modern Lamps > Show & Tell. 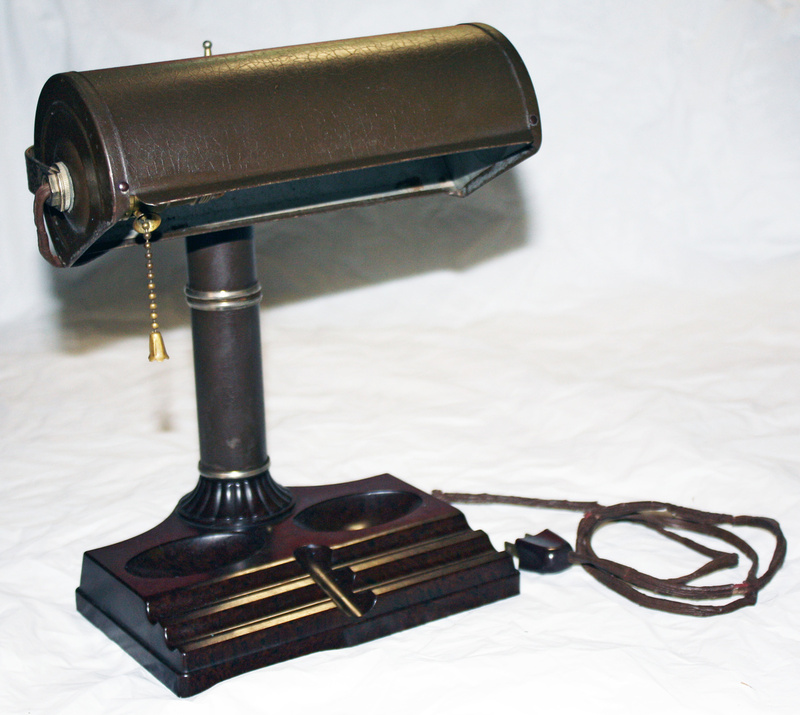 Here's a tortoise-shell textured/coloured Bakelite banker's lamp made by Atlas Appliance Corp, Brooklyn, NY. I think it's from the '40s or maybe early '50s. The base is made of Bakelite but everything else is made of thin light metal or possibly tin, and painted brown. The top part is heavier than the base so it's a bit topsy-turvy. It has the feel of a cheap period knock-off of the higher quality banker lamps - a symptom of the emerging mid-century era of cheap mass production I suppose. 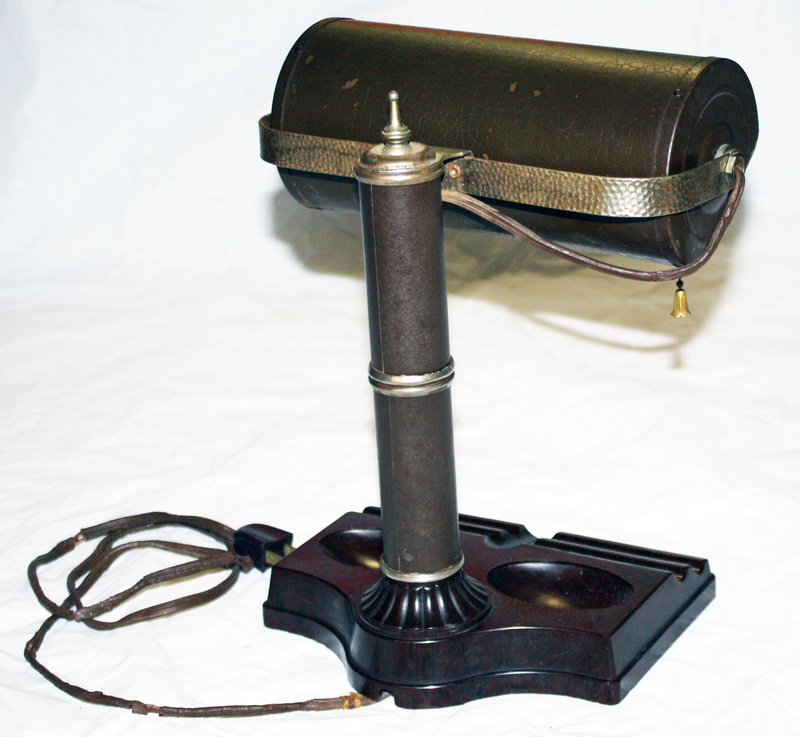 The base measures 6"x7"; the shade is 3.5"x8"; and the entire lamp is about 10" tall. It's in dire need of rewiring but is otherwise in excellent condition. Nice! Looks to be in really good condition for it's age. I was surprised too, knowing how brittle and crumbly Bakelite can sometimes get. There's a tiny bit of surface rust on the uncoated metal bits but that should be easy to remove with fine steel wool.